Mentoring, at its core, guarantees young people that there is someone who cares about them, assures them they are not alone dealing with day-to-day challenges, and makes them feel like they matter. Research confirms that quality mentoring relationships have powerful positive effects of young people in a variety of personal, academic, and professional situations. Ultimately, mentoring connects a young person to personal growth and development, and social and economic opportunity. Yet one in three young people will grow up without this critical asset. In the Kicking Bear Mentorship Program, mentors sign a written commitment with a kid stating that they will be in a kid’s life for a minimum time period of one-year and participate in an outdoor activity with them at least once per month while also striving to be a spiritual mentor in their life. 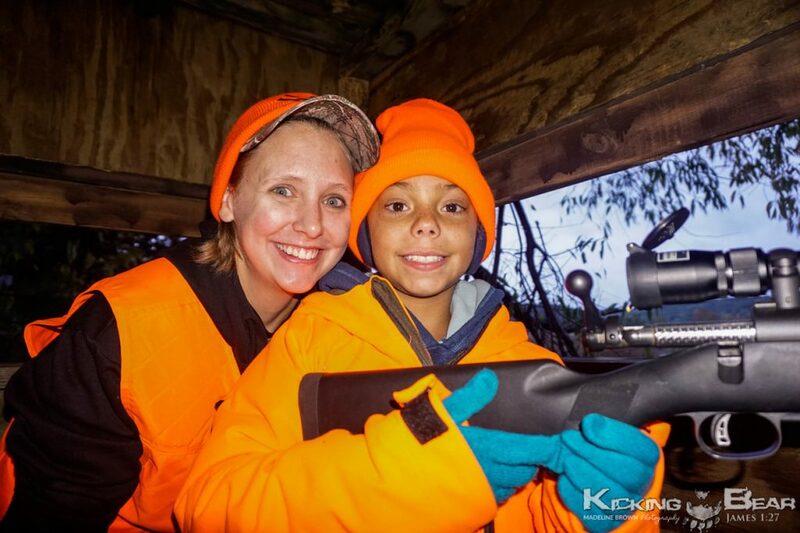 Many hunters can agree that hunting is much more than just pulling the trigger. It is the comradery, the storytelling, the marshmallow roasting over the fire, the grilling out, fishing in the pond between hunts, camping out as a group, the anticipation of the hunt… THAT is what hunting is really about. 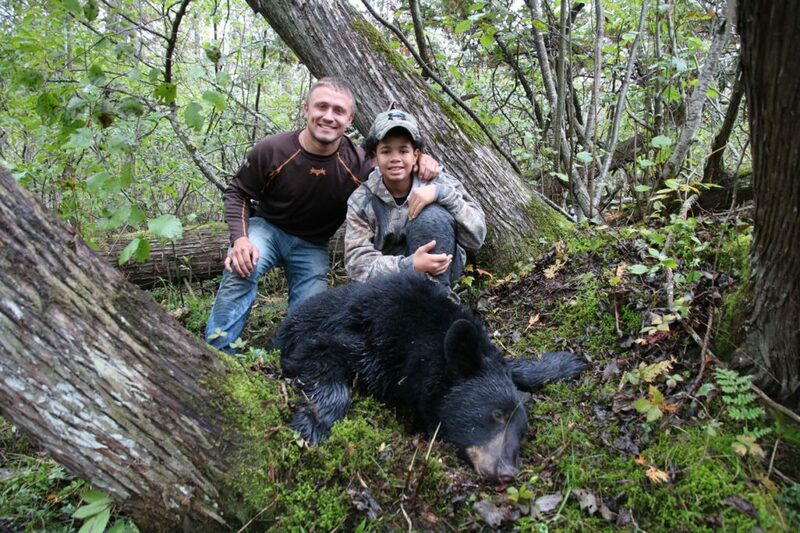 On Kicking Bear youth hunts, the kids’ get to put their phones away and escape reality for a fun-filled weekend in God’s great outdoors among some amazing men and women. 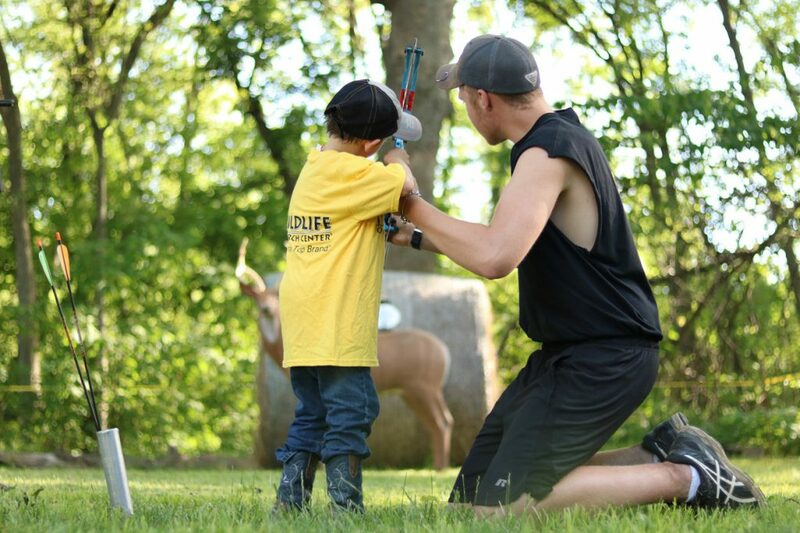 The kids that are blessed with a deer, learn to show incredible respect to the animal and will feed their families for an entire year. 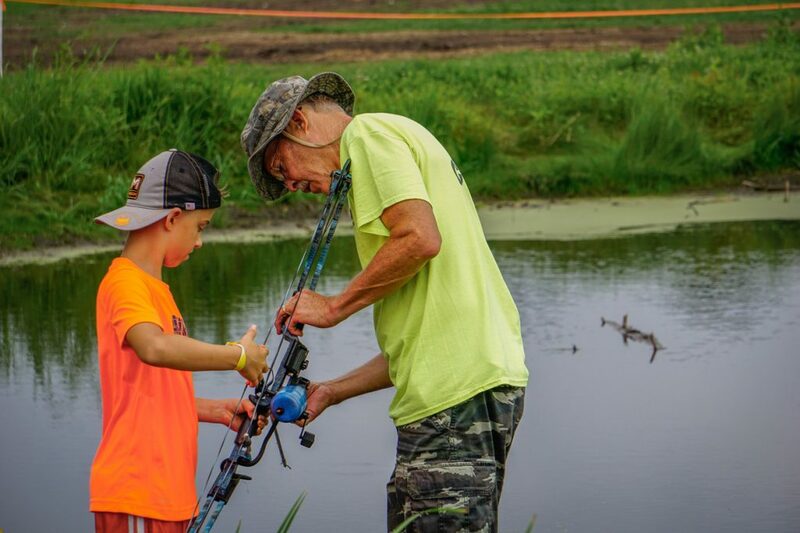 If you consider yourself an outdoorsman, I can almost guarantee there was a single person in your life mostly responsible for introducing you to hunting or fishing, whether that be your mother, father, aunt, uncle, brother, or sister. Who had to shake you out of bed when the alarm sounded bright and early, who taught you to shoot a bow or a gun, who was sitting next to you when you harvested your first animal or caught your first fish. The harsh reality is that not all youth are blessed with that person in their life. It is our mission to change that. 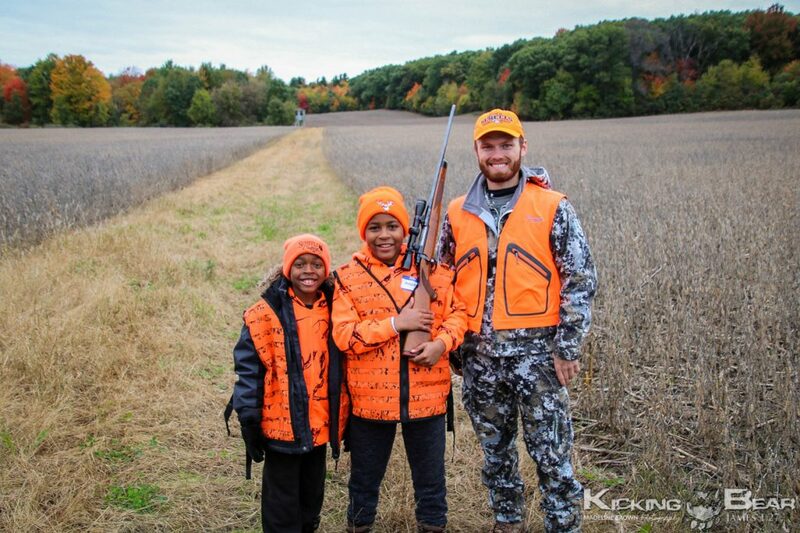 If you consider yourself an outdoorsman, there probably was a single person in your life mostly responsible for introducing you to hunting or fishing, whether that be your mother, father, aunt, or uncle, brother or sister. Who had to shake you out of bed when the alarm sounded bright and early, who taught you to shoot a gun, who was sitting next to you when you harvested your first animal or caught your first fish. The harsh reality is that not all youth are blessed with that person in their life. It is our mission to change that. Join us on our mission by becoming a mentor and impact the youth of tomorrow.